Do you have a blog and want to promote it on Pinterest? Today I’ll be going over the ways I have learned to use this amazing app called Tailwind. This won’t be elaborate but will still explain some of the best ways to grow your blog. Therefor, from the title you will learn 5 ways to grow Pinterest using tailwind. This is perfect for bloggers as well as business owners who want to grow their reach on Pinterest which can turn into sales for their business. I’ll be posting links to Tailwind, I’m a customer and love this app (and website!). I only promote things I have used and that I trust and this is one of them! I have recently switched my personal Pinterest account to a business account and it’s grown bigger for sure. As you most likely know, my blog is totally dog related but I do want to give some advice to those who are new to blogging. No matter you niche, Tailwind will be fantastic for you to learn to use. When we want to find nearly anything, a lot of us turn to Pinterest. Yes, I’m guilt of this too! I use Pinterest for nearly EVERYTHING, it’s crazy. Here are the things you will learn in this blog. Get serious about Pinterest marketing. It’ll help you in the long run, especially if you are trying to target people in a different time zone than you. I’m based in the USA but want to target those who live around the globe. Posting only when I’m awake and able to pin and share would make it much more difficult to target those outside the USA. Tailwind is a tool that allows us to schedule pins on Pinterest which in turn helps my blog grow. Furthermore, this is all due to the fact that Tailwind can pin at the times we request. Most of us simply just pin whenever we can/have the time to pin. I use to be guilty of this, but I am no longer. Tailwind has a browser extension and you totally will want to get this. It makes pinning so much easier and quicker. It’ll save you loads of time. You can use it on Chrome, Safari, or Firefox so be sure to have one of those as your browser to use. This will let you schedule to pin from any website without the worry of a URL to link to. It does it for you. You can use this while on your blog, another blog, on Pinterest, or truly nearly any website you visit and want to share from. This will help you grow on Pinterest. Interval pinning is great and a tool I use often, if not always. All of my blog posts contain a featured image which I create using canva. Canva is an app but you can also use it on your computer to create awesome images such as ones you see all over Pinterest. Vertical images stand out more on Pinterest so it’s recommended to create a image that is vertical and preferably 800 x 1200. Interval pinning allows you to pin to multiple boards with a few simple clicks in a matter of seconds. Most of my blog posts can fit into a few categories/boards I have on Pinterest so I can easily add different board names for it to pin to. I’ll create a step by step guide for doing this. 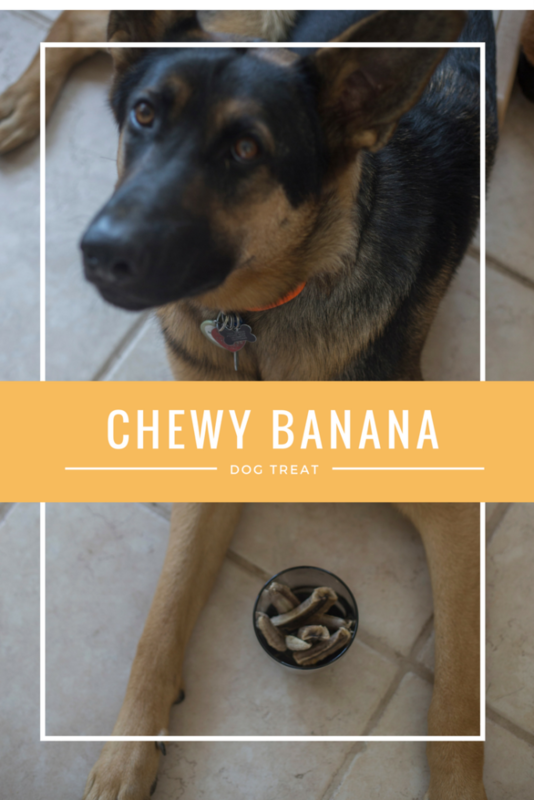 My example is of this blog post I did on Chewy Banana Dog Treats. This is relevant for a few of my boards. There’s a few other group boards I could share it to as well. “If you aren’t sharing your pins more than once to all relevant boards you are missing out on that added exposure on Pinterest.” Not everyone follows all of your boards so it is important to share to all the boards where the content is relevant. The Interval Pinning feature allows you to set the time period in which each pin gets shared. You can pick anywhere from 10 minutes to 90 days. Typically I pick 24 hours between the pins but sometimes I’ll do just a few hours between the sharing of pins. This is essentially and basically cloning pins across multiple boards. From here you can then pick the date and time for your first pin or let the Smart Schedule do it for you. Below you will see the times chosen by my particular Smart Schedule. You can have it do Open Slots, Optimised, or Exact. Typically I do Optimised but for this example I did it as Open Slots. Again, you can use the Interval Pinning button on any image on Pinterest or anywhere on the web. In order for your interval button to appear you will need to have it going to multiple boards on Pinterest. Should you care about these analytics? Yes! They aren’t just simply numbers. They explain so much and you can learn a lot from them. Pinterest has their own set of analytics but so does Tailwind. These analytics from Tailwind are imperative for your Pinterest marketing objectives. What can you get analytics on? wanna know how a particular pin or pins are doing on a specific board? Use the easy search function to find whatever you are looking for. Pinterest is aspirational and our followers tell us their aspirations through their boards and the pins that they share. What does this tell us? To us bloggers, this information is like finding GOLD! It helps us target our audience and provide them more of what they want. I publish about dogs and all things dog related. It’s a very specific niche but something I totally love blogging about. My blog isn’t overly photo heavy ,or not every post is at least. My posts do all have at least 2-4 images, if not more. The Tailwind app makes Pinterest marketing more effective. You can choose to have your photos go to just one board or multiple boards. For one board, simply type that board name into the All Boards to Add box and it will automatically create 4 images for that board. For multiple boards, simply keep typing in the names of the boards you want the images to go to or use the drop down menu. You can also multiple pins from the Pinterest feed as well by following the same steps. Knowing the best time to pin is based off your audience. IF you are a mommy-blogger then your audience may be on mostly when kids are at school. Most people who do use Pinterest probably work during the day so pinning in the late afternoon or evenings may hold more of your target audience. This is dependent though fully on YOUR target audience. My target audience can truly be on at anytime during the day or night as I blog about dogs. Dog owners typically work during the day but it is also based off their specific job as some may work overnight. Finding out when your target audience is on may not be the easiest. This is where the Smart Calendar comes in handy. THANK YOU TAILWIND! 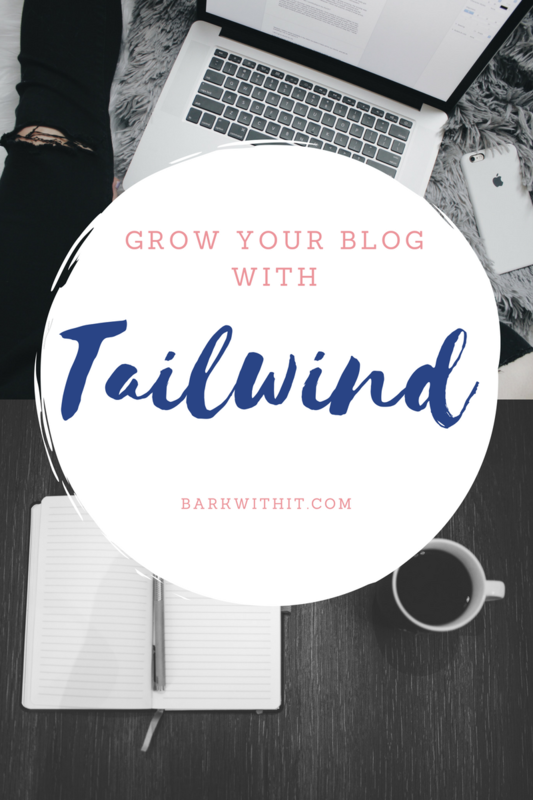 When you first sign up for Tailwind whether you use the free version or the paid version they crunch data about the type of content you post to find when your target market is on and most active on Pinterest. From this, Tailwind creates your Smart Schedule which contains time slots that they recommend for when your target market is active. What is the pin about? What is the board about the pin will go to? When do your pins get the greatest response? These insights come from over 500 million pins and over 200 million boards on Pinterest. Of course you can easily add or remove time slots depending on if you want to pin more or less throughout the week. This is the main feature that sold me on Tailwind. Why? You can be showing up on Pinterest while you are asleep! This is how it helps grow your blog and Pinterest marketing for any audience anywhere in the world. Another great feature? Tailwind will let you know automatically if you’ve pinned something, when you last pinned it, and which board you pinned it to. When you begin scheduling pins you’ll see them appear in this visual calendar. These images represent all the images you have scheduled with your smart calendar time slots. You can get started on a free trial with Tailwind. There is no time limit to this. Your free trial includes the publishing of 100 pins. After you publish the 100 pins you’ll be prompted to upgrade. Furthermore, with this, you don’t need to provide any credit card information during your trial. I use and have the Tailwind PLUS account which costs $15/month or you can pay the year in full for $120/year and you get 4 months free and your monthly payment ends up being only $10 instead of the monthly price of $15. This is perfect for small businesses and bloggers. They do have other accounts though for larger brands and companies. On this plan you get 400 pins per months plus the features I have discussed above (there’s more features too)! In addition, as I said at the start, if you wish to get serious about Pinterest then Tailwind is a no brainer! If you like what you’ve read, I’d truly appreciate you signing up using my affiliate link. Great tips! Ill definitely try some of them today! You’re so welcome. Glad I could help you learn more! I didn’t know about Tailwind, I’ll definitely look into it! You’re so welcome. It’s so helpful! I’ve heard of Tailwind and knew that it scheduled pins, but that’s all I knew. Thanks for the explanation. You’re so welcome. Glad I could help explain it. I’m just starting with Tailwind. The issue I am struggling with now is repinning my pins to my own boards and group boards. How often is appropriate? Do I repin old pins to move them up on my board? How often? Yes, repinning old pins is great instead of doing a fresh pin directly from your blog. I pin them to the same board maybe once a week or at least waiting about 3-5 days before pinning to the same board with the same pin. Does that make sense?? Yes. Thank you. And of course Tailwind can schedule all that. Thanks for the tips, I didn’t really understand what to do with tailwind, I’ll be checking out the scheduling and putting intervals on when my own pins come out! Fantastic. So glad this helped you. This is the best breakdown of how to use Tailwind I’ve ever seen. I’ve been seeing great results with Tailwind so far, and can’t wait to see how it changes when I start implementing your tips. 🙂 Thanks for all the info! Excellent tips, thanks for the article! I’m tempted to try but I would blow through those 300 pins in a day or two, I’ll have to check out the other plans! If you get the year plan (PLUS) it’s unlimited pins per month but billed annually. That’s what I do so I’m not limited on pins each month. Most months I do go over the 400 pins if I was paying it monthly. Thanks to your post, I’ll be taking Tailwind for a spin! I need something like this to make life easier. Thanks for being so detailed and giving examples. You’re so welcome! Glad I could help. I’d appreciate you also using my affiliate link if you don’t mind. Even if it’s just for the free trial. Great tips. I’ve been using Tailwind for a couple of months, but still learning how to make it more efficient for my online businesses. Hope we provided you some new and useful tips for Tailwind. So helpfully laid out. Thanks for sharing all your knowlege!